Thermo Scientific™ TLD-700 materials consist of Lithium Fluoride (Lithium isotope) Li:Mg, Ti. 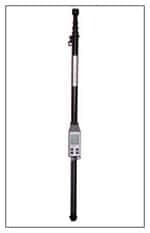 It is suitable for gamma and beta dosimetry applications. Reduce employee downtime and lost productivity with an effective radioactive contamination monitoring system for nuclear facility personnel. Reliably locate alpha contamination on people or on workplace surfaces with ruggedly built, easy to handle zinc sulfide scintillator instruments, the preferred technology. The turnkey, drop-and-go Thermo Scientific™ Area Monitoring Package for NPP is ideal for situations where simple and rapid area monitoring setup is needed. Monitors beta radiation across the beta energy spectrum with good efficiency and high sensitivity. 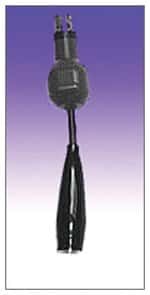 It is an easy to operate with a slim profile and low weight. Increase nuclear power plant safety and emergency preparedness with an environmental monitoring solution to identify and assess the level of gamma and or neutron radiation. Includes a memory device containing all pertinent calibration and operating criteria; boosts efficiency and reduces user workload. Get the most reliable dose measurement data by going straight to the source with single and double chipstrate extremity dosimeters — wherever radionuclides are handled. Thermo Scientific™ TLD-100 materials consist of Lithium Fluoride (Li natural) LiF:Mg, Ti. Suitable for health and medical physics dosimetry applications. Protect first responders, critical infrastructure and the public with a customizable solution for real-time radiation monitoring. An excellent general purpose GM probe, with energy compensation and a beta shield. Ideal for most health physics applications. Measure dose and dose rate at a secure distance for all situations where an extended range is required or high radiation may occur. 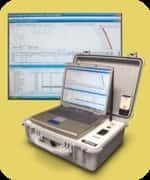 Thermo Scientific™ FHT 3511 Positron Stack Monitor is a stack monitoring detector designed specifically for positron emitters (PET effluents) for indoor and outdoor use. Rapidly assess alpha contamination levels with a large area scintillation detector for nuclear medicine labs, HAZMAT spills, industrial hygiene and geological surveys. Thermo Scientific™ ALPHA-7A Air Monitor is designed to provide early warning to workers exposed to airborne releases of alpha-emitting radionuclides.